Marseille and PACA region will welcome the 14th edition of the 'Rendez-Vous en France' workshop on 19 & 20 March. 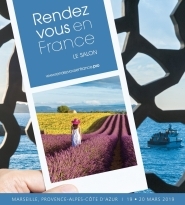 'Rendez-Vous en France' is the first international professional travel market of the French tourist offer. It gives you a unique opportunity to settle or develop your contacts to increase your commercial activity. 900 tour-operators from the entire world will have the opportunity to meet, during 2 days of face-to-face appointments, more than 750 different suppliers of the French tourism. The sales department of 'Hérault Tourisme' will welcome you on its stand! 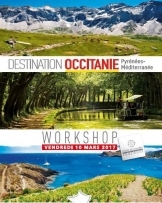 The Occitanie / Pyrénées-Méditerranée region organizes a tourism trade fair where managers of tourist sites, accommodation, incoming agencies whose products are suitable for group tours will have the opportunity to meet about 150 French travel trade professionals from the region to introduce them their offers and latest news. The sales departement of 'Hérault Tourisme' will attend this workshop!